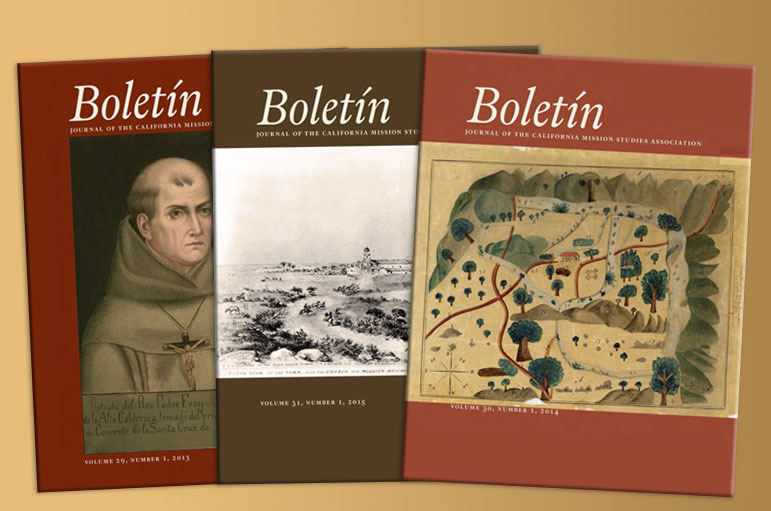 The publications committee is now accepting articles and article proposals for the 2016 Boletín. The journal is a peer-reviewed academic journal that features the best of California Mission Studies from a wide variety of disciples. The committee is especially interested in articles that reflect the theme of the 2016 California Missions Conference: El Camino Real de las Californias. (CMF is currently spearheading a Bi-National effort to receive an UNESCO Nomination to Name El Camino Real de las Californias a World Heritage Site). The Boletín committee is also willing to entertain articles/proposals on any topic related to California's pre-statehood history. The Article's relationship to other articles (the Boletín should showcase the diversity of the field of mission studies. The committee will try to achieve balance by not accepting too many articles related to a particular region, discipline, or subject). Click here to see the style guide.